In the United States and many other countries, October is Breast Cancer Awareness Month, a month-long campaign to raise awareness of the disease worldwide and raise funds to find a cure. From walks to rallies, thousands of individuals will participate in one way or another to support the cause. Each year globally, 12.7 million people learn they have some type of cancer, according to the United States Centers for Disease Control and Prevention. The complexity of a cancer diagnosis can feel daunting. A patient often finds it helpful to have a strong support network of friends and family. Staying socially active and joining support groups can make a big difference. When it comes to breast cancer, few women haven’t been affected in some way or another. Research shows a woman has a one in eight chance of developing breast cancer in her lifetime, so if she herself hasn’t been diagnosed, she likely will know someone who has. Thanks to advancing technology and ongoing research, more people are surviving and thriving after breast cancer. An example of an organization doing amazing work is the Project Pink Tank, part of non-profit organization Rubicon Foundation, who explore the mental and physical benefits of diving for breast cancer survivors. The ongoing study researches the long-term effects of cancer therapy on diver behavior and health. Many of the PADI Dive Shops all around the world also do an incredible job of hosting events and campaigns supporting cancer awareness as well as supporting a range of other community initiatives. If you are a diver who is fighting cancer, being part of a diving community can help connect you with others and stay active. You can find support in a positive environment while exploring a hobby that can take your mind off the sometimes difficult cancer treatment process. You may be surprised at the new friends you’ll make and others who might even be in a similar situation. 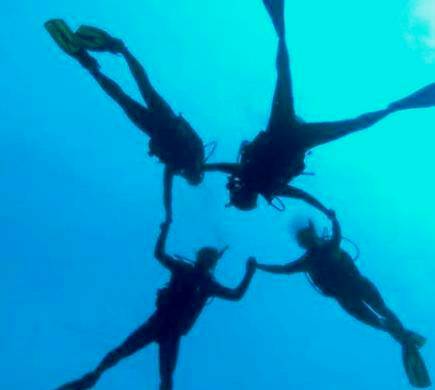 PADI thanks the amazing work of the many divers, instructors and dive shops that help make a difference. Learn more about the Project Pink Tank or locate a PADI Dive Shop today.